Jeremiah Gall is a vacation rental pioneer: he was one of the founders of the listing site FlipKey, which was eventually sold to TripAdvisor. 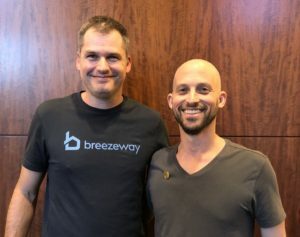 And not willing to leave the industry, Jeremiah’s latest brainchild is Breezway which is an app that allows hosts to optimize the operations of their vacation rental businesses. After the Streamline conference in Phoenix, Arizona I got the chance to challenge Jeremiah with a pointy question that I had always sort of dreamed of asking a listing site executive. True to form, his answer flipped the next steps — the where do we go from here — back on me. The industry could use more honest and objective conversations like this. Please let us know what you think!